Clocks There are 19 products. 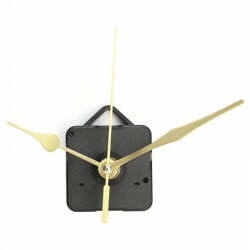 Wall clock with "positions". Material: acrylic, wood. Movement: Quartz. Battery not included. 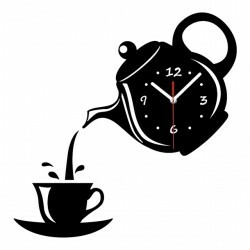 Coffee cup shape wall clock. Movement: quartz analog. Material: acrylic. Thickness: 2mm. Size: 38 * 32cm (can be customized). Battery: 1 * AA (exl.). Please select a color. 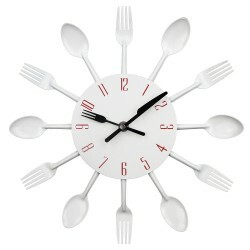 3D wall clock. Material: ABS Size: 30 * 30cm. Weight: 600g. 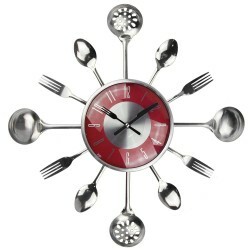 Modern, kitchen wall clock. Pattern: spoons and forks. Display type: needle. Movement: quartz. Material: metal Weight: 320g. Size: 30 * 32 * 4cm. Battery: 1 * AA (not included) Please select a color. Large LCD display, multi-function. Indoor & outdoor temperature, humidity and time display. Memory of max. & min. measuring value. 12 hour / 24 hour displaying system selectable. Degree C & F unit selectable. Clock, date & calendar function. Everyday alarm function. 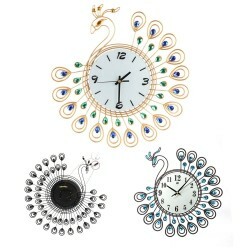 LCD clock, alarm and snooze, time projection, flash light. Led lights: yellow / pink / blue / green / white / orange / purple. Size: 98 * 65mm. Battery: 3 * AAA (exl.). Weight: 106g. LED display alarm clock. Material: plastic. Shows time, date, temperature. Snooze & calendar function. Changes colors. Size: ~ 7.5cm.